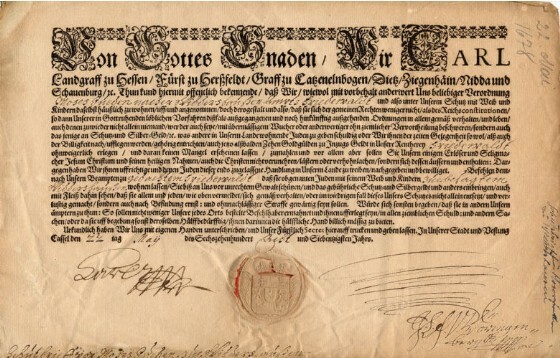 Back on January 12, 2018, I wrote about my four-times great-grandfather Jacob Falcke Goldschmidt who in 1724 was the first Jew to receive a Schutzbrief in the town of Oberlistingen. I received a couple of comments and questions about the practice of obtaining a Schutzbrief, so I decided to do some additional research to get a better understanding. Unfortunately, there is not much written online about this practice. I asked in the Jewish genealogy groups on Facebook and received a recommendation for a book by Mordechai Breuer and Michael Graetz entitled German-Jewish History in Modern Times, Volume I: Tradition and Enlightenment 1600-1780 (Michael A. Meyer, ed., William Templer, translator) (Columbia University Press 1996)(hereinafter “Breuer-Graetz”). Another person recommended a different book, Mathilda Wertheim Stein’s The Way It Was: The Jewish World of Rural Hesse (FrederickMax Publications 2000)(hereinafter “Stein”). 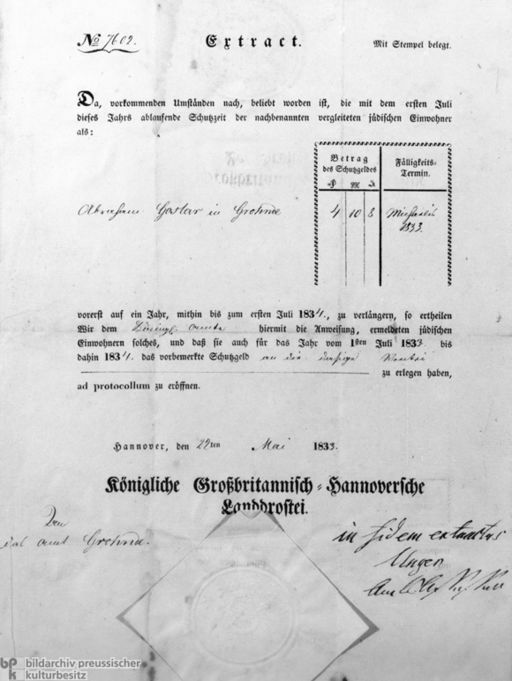 What follows is based on just these two sources and is not meant to be a comprehensive summary of German Jewish history by any means, but merely a brief overview of the practice of issuing letters of protection or Schutzbriefe. Generalpriviligierte: the smallest and most elite level. They could purchase land and homes without a permit, work as merchants, and pass on their rights to their children. Ordentliche Schutzjuden: privileged protected Jews; they could not choose their residence without a permit and could only pass on their rights to one of their children. Ausserodentliche Schuzjuden: unprivileged protected Jews; only permitted to reside in the town if they had a useful profession or trade and could provide one of their children with the right of residence if the child had sufficient assets. Unprotected Jews: they required the patronage of a protected Jew and could only marry if their spouse was someone from the top two classes. Children of the privileged protected Jews who did not share in the right to inherit were also placed in this class as were children of community employees. Servants employed by those in the first class. According to Breuer-Graez, the purpose of this system of classification was “to curb the growth of the legitimate Jewish population and to put a halt on the illegal influx of unprotected Jews.” 25 It was also a means of raising revenue since each of those who obtained protection paid hefty amounts for that privilege. This oppressive government-imposed treatment of Jews as outsiders with limited rights lasted for another century. 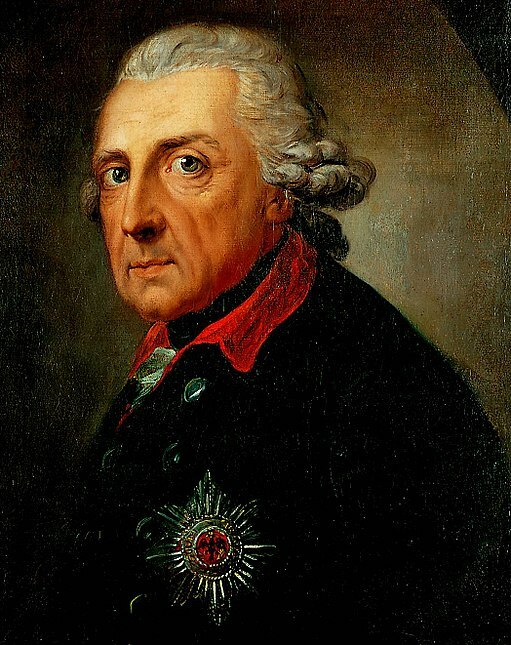 It was not until the 19th century that various Germanic states began to emancipate their Jewish residents and grant them full legal rights as citizens; unfortunately, that did not end anti-Semitism and the violence and discrimination it engendered, as we saw most tragically in the 20th century. This entry was posted in Books, Germany and tagged Antisemitism, Germany, history, letters of protection, Schutzbrief, schutzjuden by Amy. Bookmark the permalink. Thank you, Amy, for taking the time to look this up and give us a brief overview. Very interesting. In our school history books, this was either not mentioned, only received a one-liner, or was skipped over by the teacher. My children’s history classes here in Luxembourg covered things I never heard of in my classes in the US school system. I certainly never knew about this either until I started researching my German Jewish ancestors. Of course, we spent many grades studying the American Revolution and the Civil War, but only one year of high school doing all of world history from the ancient Greeks through the 20th century. Same here. Only one year World History and it was hit and miss. I think I learned more US history from reading biographies and autobiographies of historical persons than I did in US History class. I majored in History (and focused on US History) in college, but even then, I learned very little about European history. What a shame education is wasted on the young! What a read to start a work day off with. Fascinating and enlightening. Great research Amy and as always thank you for the hard work and history lesson. Thanks, Sharon. I am glad you found it interesting. It certainly was eye-opening for me. Wow. I did not realize that this practice continued for so long. I never knew anything about it until I started researching my German ancestors. Yes—though there are many non-religious people who identify as Jewish based on history and culture. An interesting detail of your post is the harsh attitude of Frederik the Great toward the Jews. 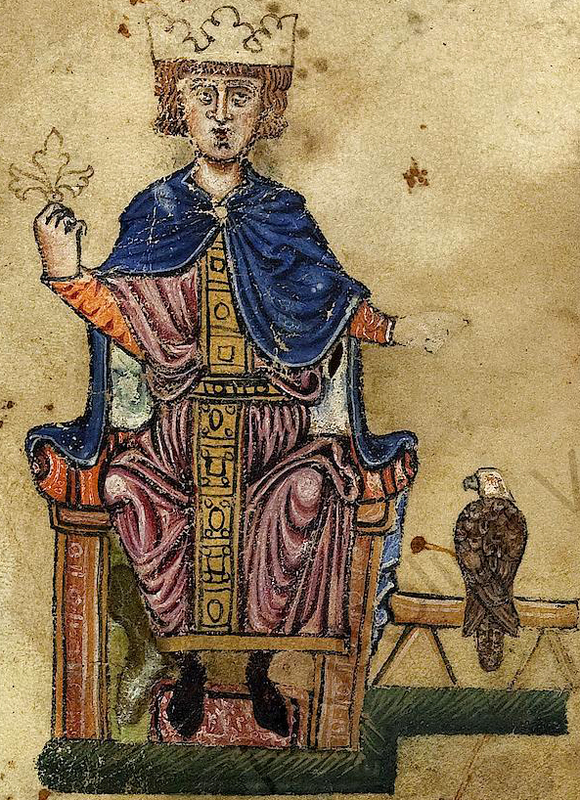 He was otherwise known for being the most liberal king as far as religion was concerned. He once said, ‘In my country everyone finds his own salvation’ Obviously the Jews were not included. Another great post in your flourishing blog, Amy! From what I read, he had no use for any religions, but tolerated religious practice by others. Like most anti-Semites, the hostility was not really about the religion itself but about the “otherness” of people who were different. Thanks, Peter. It is amazing that we have survived at all. The author of “Constantine’s Sword,”James Carroll, a former priest, says that if Christians didn’t kill Jews, force conversion, there would be 220 million Jews in existence when he wrote the book. That’s a great book. I read it years ago—just wish I remembered it better! Enjoyed the German/Jewish history lesson Amy, very infomative. I knew about the feudal lords but didn’t realize this stemmed from the 13th century. Great research. Patrice Flanigan (my husband is Irish). I just saw this comment pending, and I don’t recall if I had seen it before. I am sorry!! I will email you, if I haven’t already. This is fascinating, Amy. I learned a ton! Glad you enjoyed it—I learned a lot also! This is fantastic Amy. Thanks for taking the time to research this topic and write about it. Thanks so much, Wendy. I am so glad I did—it was eye-opening for me. I had never heard of this. What an education this post was for me. No doubt this longstanding practice left the lingering seeds of anti-Semitism that raged in the 20th century. I wonder what happened in the 19th century to finally see the practice come to an end – progressive modernization of society? I will have to get Volume II of the series on German Jewish history to find out more about how things changed in the 19th century. I will add that to my to-do list! I am glad you found this informative, Michael. I certainly learned a lot researching this topic. I’m certainly not a history buff but I, too, had never heard of this. Thanks for the education! Good research results that remind us to always remain vigilant. History has a horrible way of repeating itself unless we speak out and fight back. Exactly. It’s tempting to ignore it, but only at our own peril. eyes to a completely different perspective of European history which explains a lot. Extensive reading beckons! Thank you, Frederick! I am glad you found it interesting.